I designed and built the original COASTER for my own use. 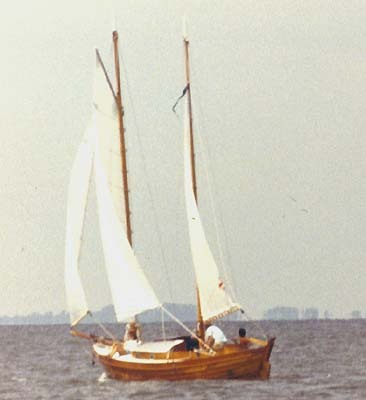 She has a unique traditional appearance, easy to handle, well balanced under various sail combinations and yes she is fast. Construction is lapstrake planking over steam bent frames. 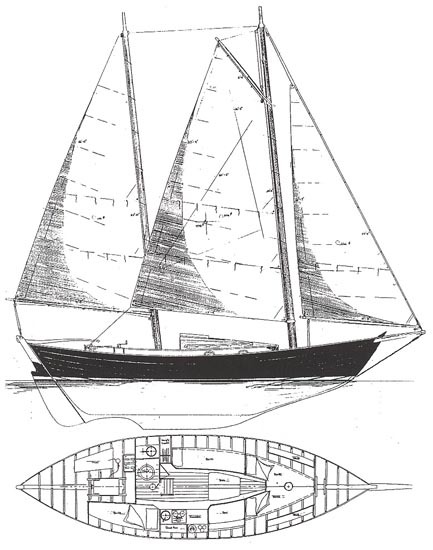 Plans include: materials, panel dimensions, construction, sail plan, and full size keel patterns. Purchase Study Plans for the COASTER for $5.00 for delivery by US Postal Service [no download file available]. Purchase Construction Plans for the COASTER for $550.00 for delivery by US Postal Service.